Last weekend the annual event Crisis was held in Antwerp by local club TSA. 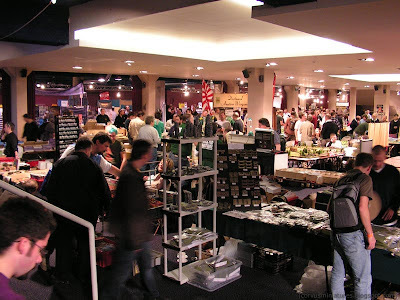 I missed last year's edition, so I can't really compare to the previous one, but compared to two years ago this one was much more crowded and more interesting shops were present. 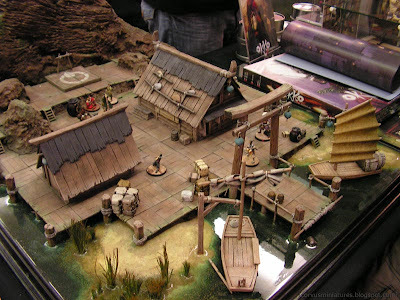 Some highlights were Fantasy Gelände, with their new natural materials range, Black Cat Bases which brought Hasslefree Miniatures to the show and a small stand displaying a new game: Okko. This is yet another new game by some French miniature superstars and it is set in the Japanese universe of the comic strips and they offer both unpainted and pre-painted figures. The painting competition was a very solid one this year. Not too many entries, only the single fantasy category had a high number of entries, but the average quality level for each category was very high. A rather small group of people attended the award ceremony afterwards, which added even more to the friendly and intimate atmosphere among the competitors. The event was very crowded this year. 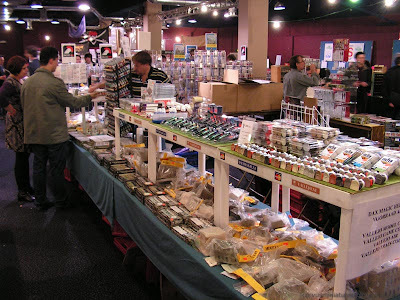 The different stands ranged from miniature manufacturers to hobby suppliers like this one. 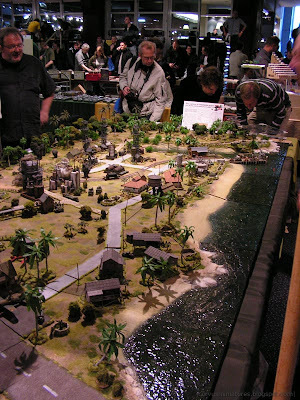 An impressive table by a wargamers club from Dortmund, Germany. 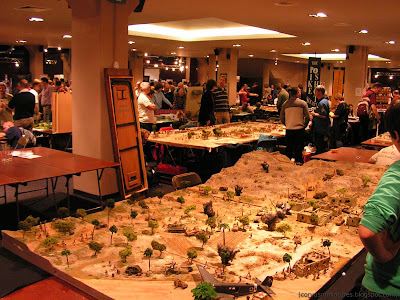 Historical wargames still make up the mainstay of Crisis. The beautiful demo table for the Okko game. 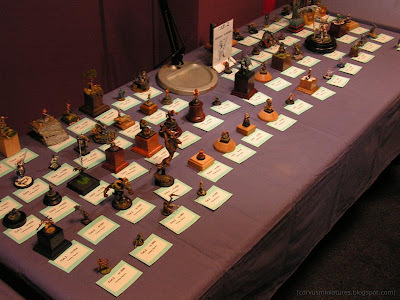 The crowded single fantasy category from the painting competition.